Off late we have seen a flood of designs which bring out ways to make life easier for the sight impaired. 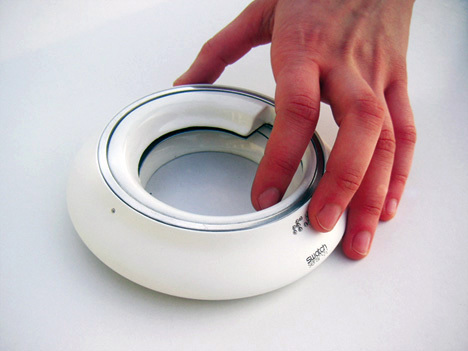 A few good examples are the Braun Bell Mug, Touch Color Digital Braille Drawing Board, and The Universal Phone. These designs inspired me to compile a list from YD’s archives, dedicated to the Blind. 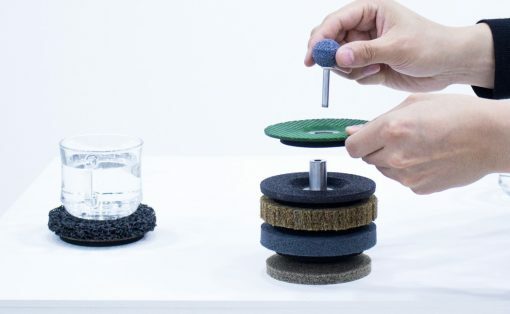 Here’s a look at Ten Innovative Designs To Help The Sight Impaired. 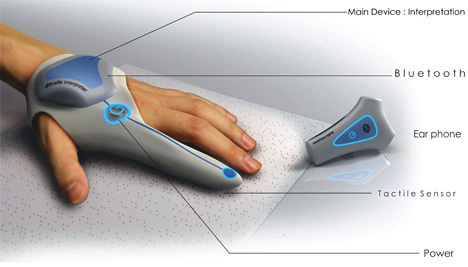 Lucas’s design gives the blind a fair chance to explore the world of computers in a limitless way. 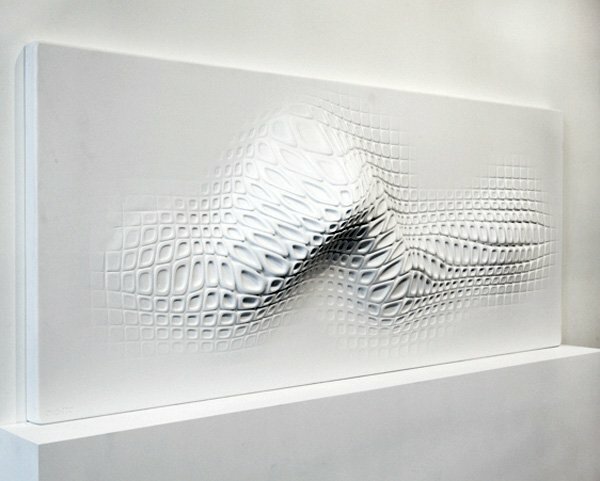 A conceptual material called magneclay or magnetized liquid possessing limitless morphing capabilities forms the base of this design. 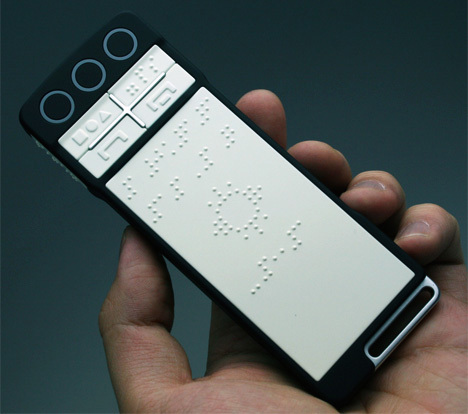 B-Touch is an iPhone kinda phone with a Braille interface, voice systems and programs to function as regular phone, navi-system, book reader and object recognizer. 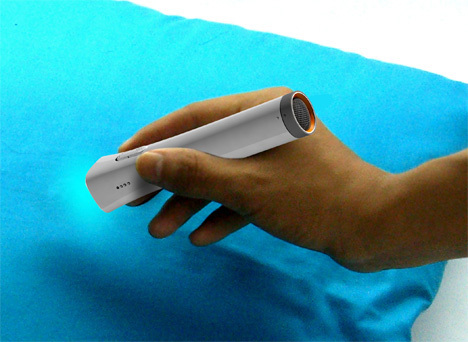 The Bright-F detects the brightness, saturation, and hue of colored fabrics, thereby allowing a blind person to literally pick his choice of color. It relays the color information via a voice feedback. The Braille Label Maker spins out Braille labels so that one can stick it to the relevant items in a grocery store. A very practical solution to an everyday problem. It can be used for labeling many other items as well. 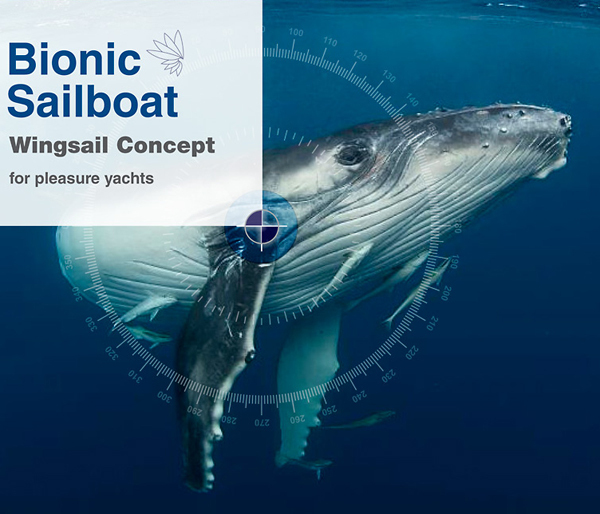 A brilliant concept that helps keep confidential information confidential! Like when you use a debit card, you need to punch in some secret numbers, but for the blind folks this could be a problem. 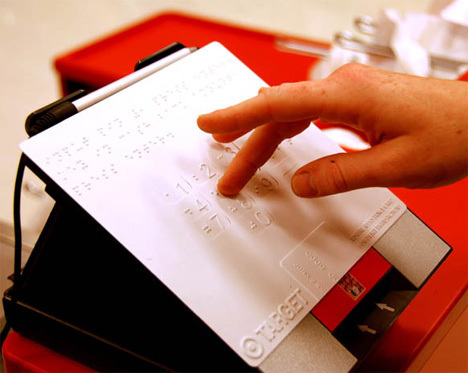 The Visual Assistance Card lays on top of the debit/credit card reader and through the use of Braille imprinted on the card, the user is able to keep their personal information private thus increasing their independence while shopping in any store. It’s always assumed that if a person is blind, he will know how to read Braille. The truth of the matter is, there could be some sight-impaired persons who don’t know Braille. This Braille Interpreter is for such folks. 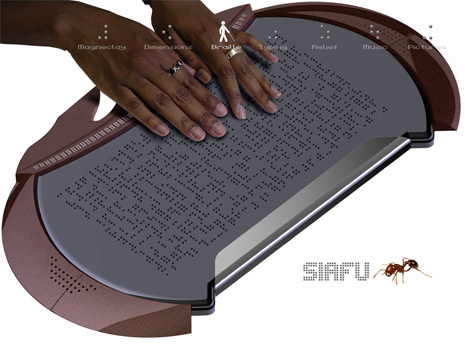 EAP is a technology that can dynamically change the surface pattern by way of an electromagnetic signal – simulating Braille text. 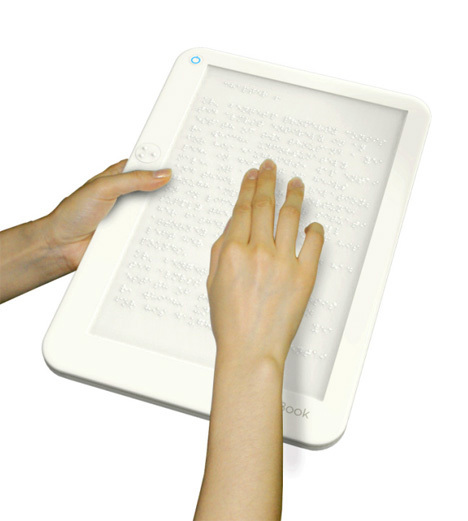 Thus developing a Braille E-Book doesn’t seem a tall order. Not only will it be easy to carry, but also cut down on the thick Braille Books. 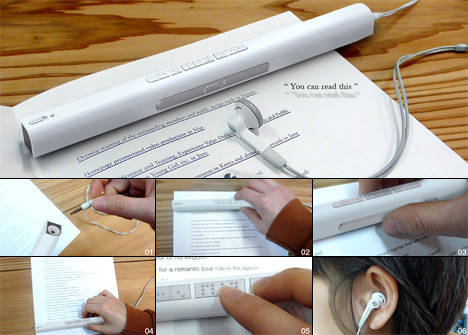 Voice Stick is an advance optical character recognition scanner designed to scan books and read to you in a pleasant voice. It converts texts in books, newspapers, contracts, mail, business cards, etc., into voice information. 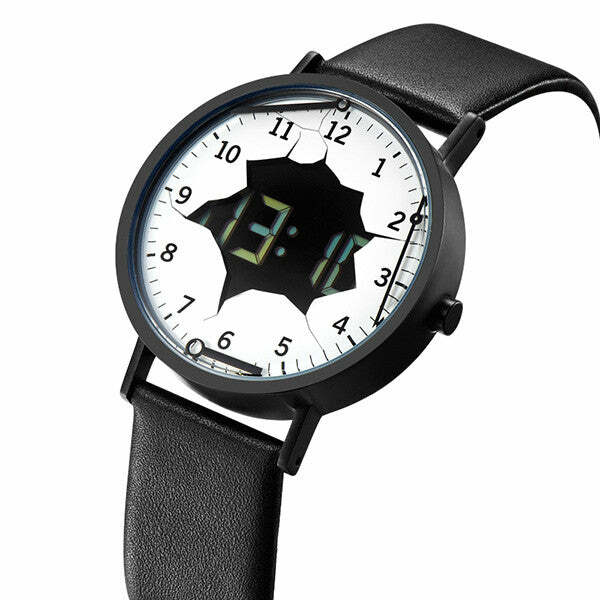 Swatch Sens is a ceramic ring clock with the 12 hour point marked with Braille. 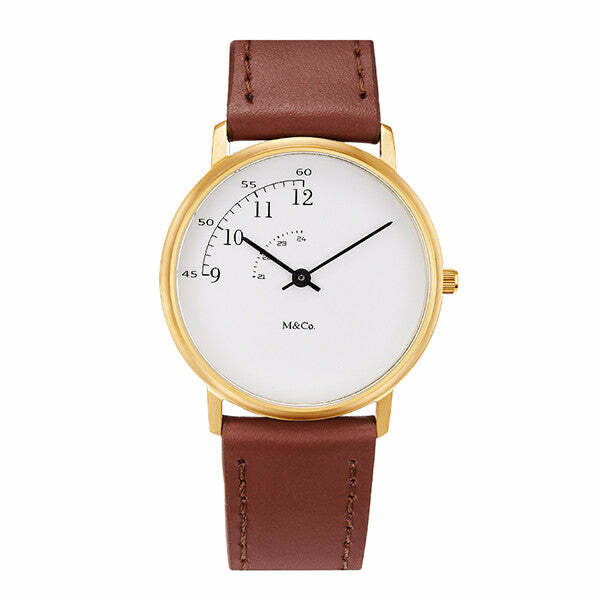 It has two rings, one for the time and the other to set an alarm. The design is simple and easy to understand, and can be really useful. This specialized Rubik Cube has six different basic materials: Metal, wood, textile, rubber, plastic and stone. 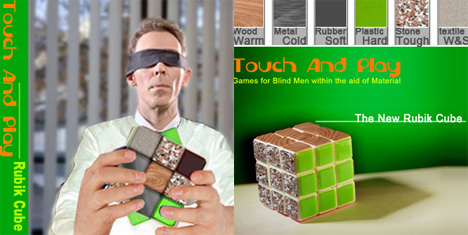 Different textures make it easy for the Blind to comprehend and play a joyful game! 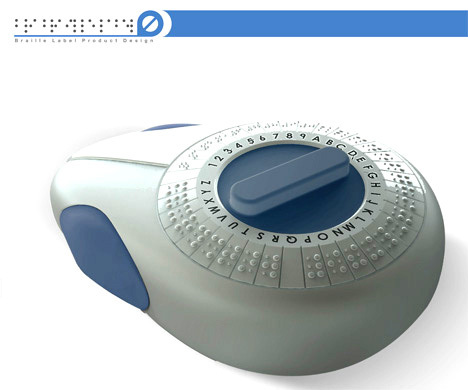 You have forgotten the original Braille Book, designed by Sergio Trujillo, which has led to the other designs. 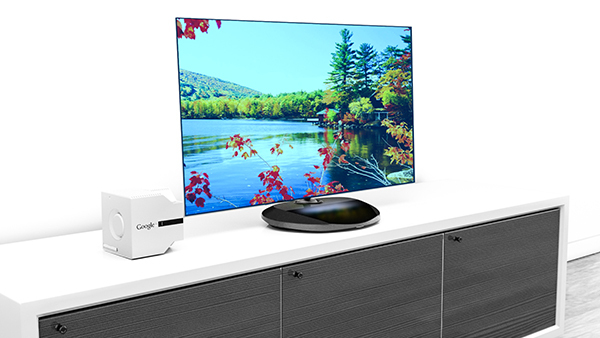 Can't wait to see what a tv remove with braille buttons on it would look like!